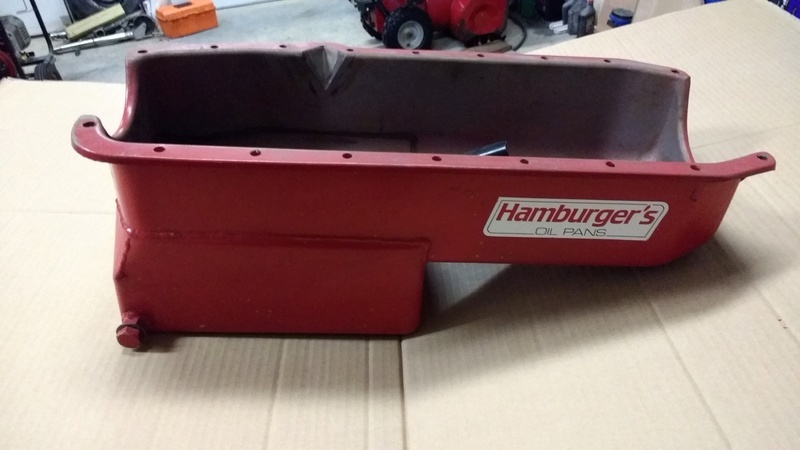 I have a small block chevy HAMBURGER oil pan. 7 quart. 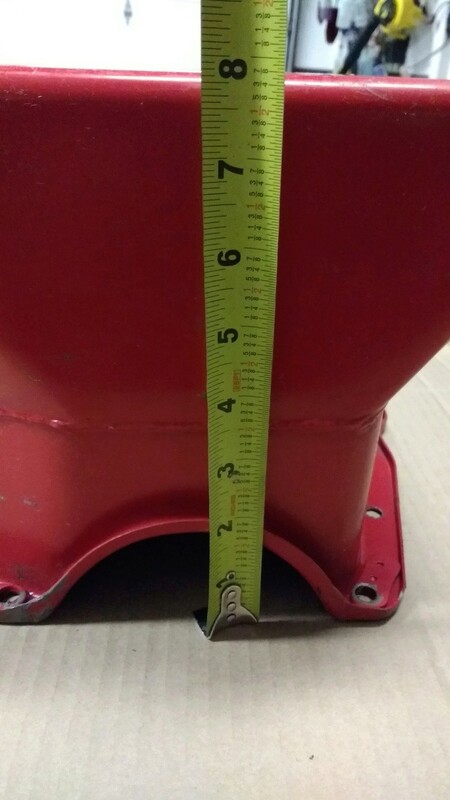 Only 8" deep so it does not hang below the engine crossmember. So no scraping issues. Great performance pan. I used this for mock up on the last engine I built and ended up not using it. So it was installed but not used. Includes the oil pickup. This is NOT a CHINESE copy. 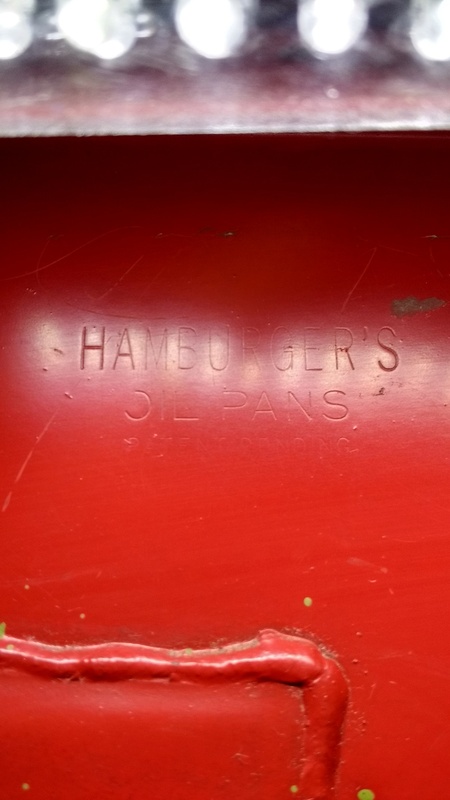 Its even stamped HAMBURGER OIL PANS right on it. 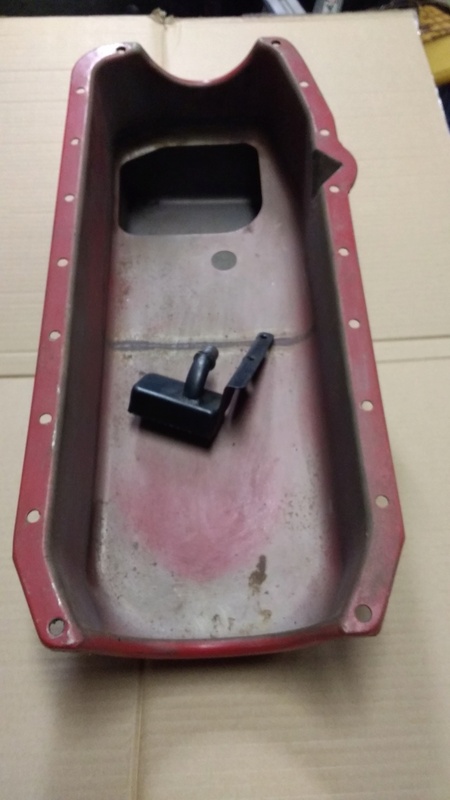 Its not a "kick out" type pan that gets in the way of the your starter removal or headers. 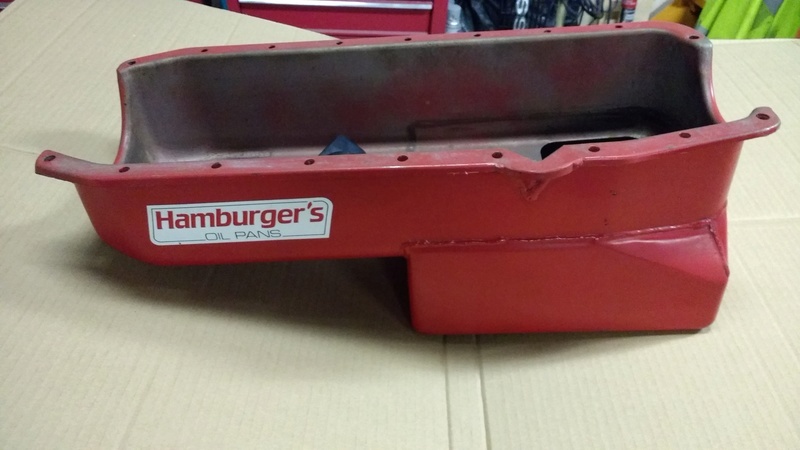 Great pan for any performance build. This pan was over $200 not including the pickup. Price $150 plus shipping. If interested PM with questions or your zip and I'll get you a shipping quote.